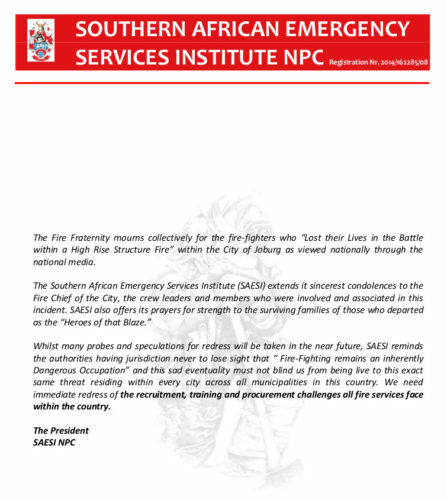 Fire fighting has grown, developing through the years, guided by SAESI into a professional discipline many are proud to call their own. The united voice of SAESI is proud to have, through the years, successfully guided and developed the industry into the giant it has become today. 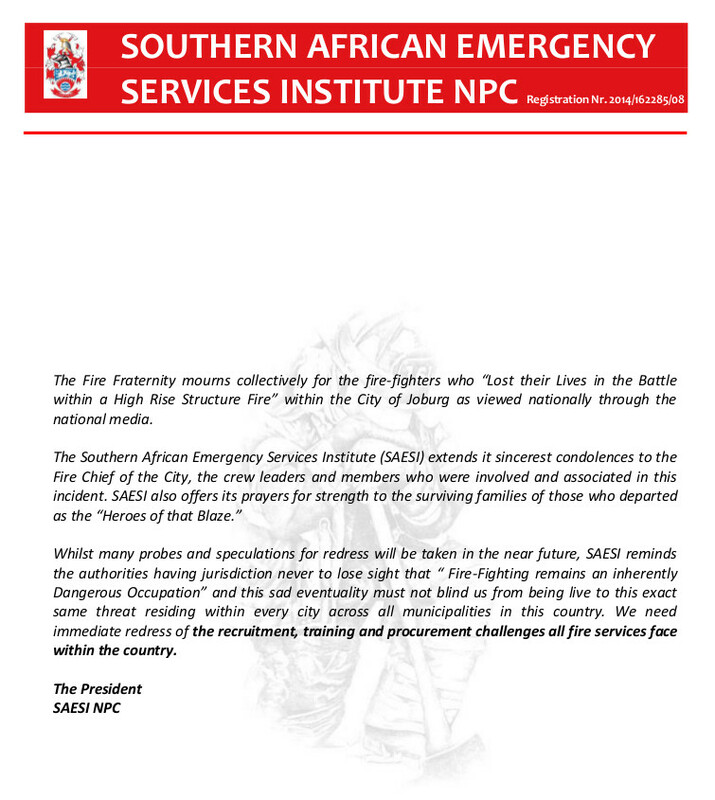 With the inception of the Southern African Fire Services Institute (SAFSI) in 1959, many things changed and advanced and, for the first time in South African history of firefighting, the South African firefighter was able to qualify for a diploma in fire engineering by passing the examination of the Institute of Fire Engineers. 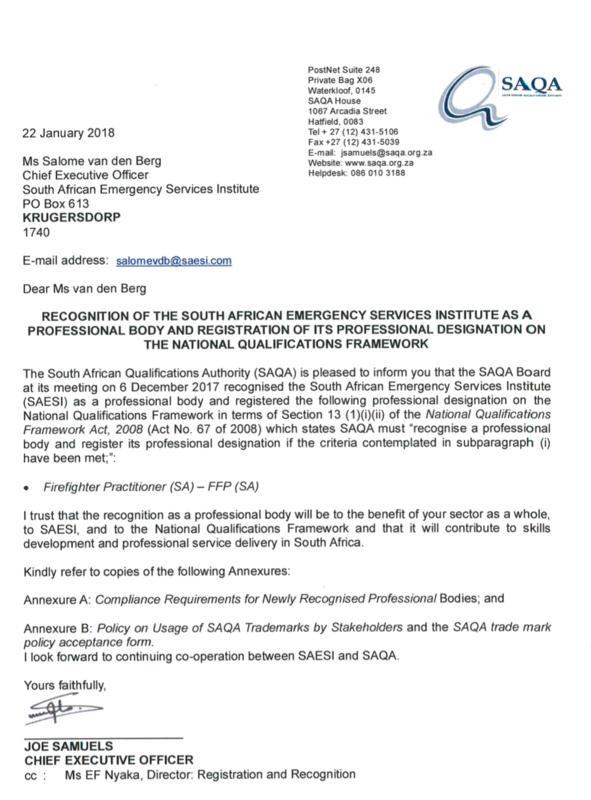 Probably the greatest achievement of SAESI to date is the fact that after the founding of the Institute, firemen were viewed as professionals and not seen to be “brawny and not-so-brainy” men involved in skilled labour. A fully qualified technician was seen to be a skilled technician with the knowledge of using modern equipment, applying techniques to undertake the full range of firefighting, road accidents and work on all kinds of emergencies. Today’s firefighter is expected to carry out duties such as equipment maintenance, ambulance work and civil defense. They must also adhere to the National Building Act of 1977 and prepare a fire safety plan designated building frequented by the public. 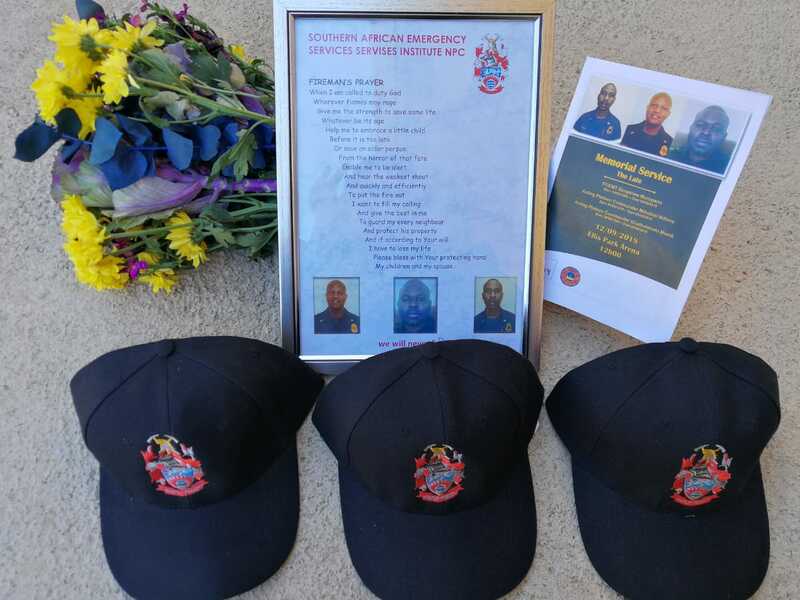 To constitute a member driven professional organization, to promote safety of the community and aspiration of its members through the promotion of all aspects of emergency services. SAESI, a professional emergency services organisation dedicated to the protection of life, property and the environment.